Hi, I'm your positive parenting ally and my name is Birgitte - yes, a name that may seem rather exotic for most of you and perhaps almost impossible to pronounce. The reason for this unusual name is that I'm Danish and live in Denmark: a small, Scandinavian country that is warm in spirit but cold in weather (at least in the winter). Cultural and geographical differences aside, I'm sure you're visiting my website for a reason, the most likely one being that you're searching for specific information. I will do my very best to help you find what you need! As you may have already noticed, my website is quite broad as I write about everything from parenting styles, child care psychology and child development to fun activities, games and healthy snacks for kids. Just like my state of mind and desire for creation changes character now and then, so do my articles. Furthermore, my curiosity always leads me to new subjects that I want to learn more about. I simply can't help myself. I'm what you may call a generalist - or in other 'finer' sounding words: multipotentialite, renaissance person or polymath - someone who has expertise in many different areas and lots of different hobbies and interests. 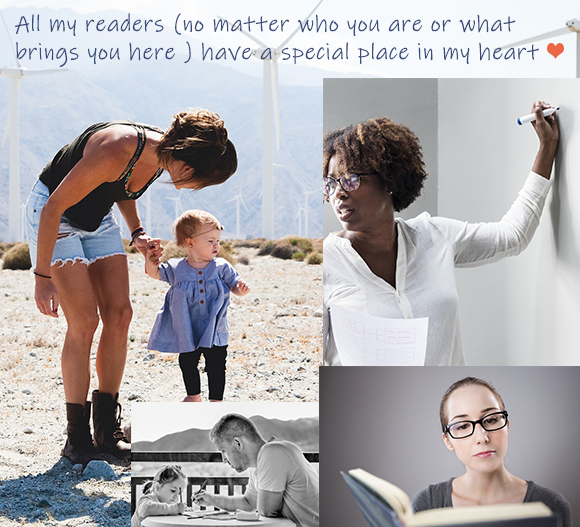 This also means that I have experienced that my readers, YOU, are also very different from each other and come here for many different reasons. 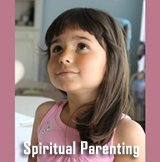 A parent looking for advice, viewpoints or facts related to parenting or child development or inspiration for fun activities or healthy recipes for kids. A student or scientist looking for academic analyses and presentations of parenting styles, practices or experts. A teacher or homeschooling parent searching for educational learning activities to inspire students in the classroom or at home. A pedagogue or daycare provider looking for fun and inspiring toddler games. Someone else who just happened to come across my site because you followed a link of interest. No matter what your background or interest is, you're very welcome! Who Am I and Where Do I Stand? 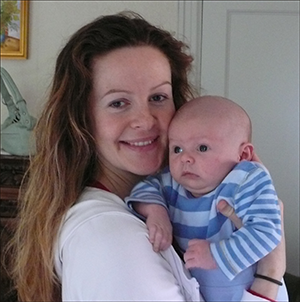 Once again, my name is Birgitte Coste, and I'm a mother, an anthropologist and a parenting guide. If I were to coin my parenting expertise it would be a nice melting together of meta-view and love. Yes, a strange combination perhaps, but that's basically the essence of it. What I do when writing and guiding, is typically viewing everything a little bit from above, applying personal insight and knowledge from the perspective unconditional love and acceptance - and then boil everything down to its very essence! If I were to put one word to my investigative approach to parenting, it would be consciousness. Exploring and taking point of departure in human consciousness. How and why do we perceive, think, feel and act the way we do in parenting and what are the consequences of that for us and our kids? Even though I am academically trained, most of what I deal with in relation to parenting has a solid basis in my personal parenting experience. I find this experience-based foundation very important, as it adds tremendous credibility to the written word - in other words, most of what you read about here has been done ... and it really works! At least it has for me. Therefore when I write - even the more theoretically orientated articles - I cannot completely detach myself and my own experience from what I write. (That's also one of the premises of being an anthropologist (and human being) - no matter what, we recognize that we are always part of our own material. Everything will be written through our own filters (and thus be biased) no matter how hard we try to get rid of them). 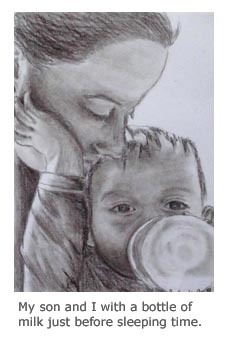 So you will probably find that even though I may be dealing with various scientific studies and academic papers, I have an opinion and that opinion is typically derived from the non-academic but down-to-earth experience of being a mother. If you're curious to know more about me, please read on as I will take you quickly through first my educational journey and then my parenting journey. 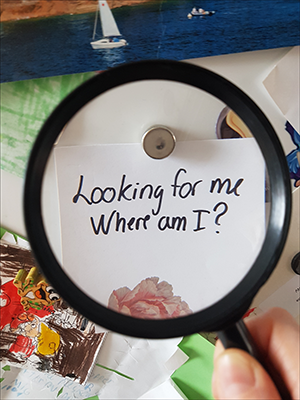 - Searching and Searching ... for What? I graduated as an anthropologist (cultural anthropologist) with a master's degree (MSc) from the Department of Anthropology at the University of Copenhagen in 2006. When I finished high school I had to, like everybody else, try to figure out what I wanted to spend the entire rest of my life doing. No pressure at all, right? So in an effort to avoid feeling trapped by a very 'narrow' education (yes, being a generalist I have a problem with confinement), I went for the broadest education I could possibly find, and ended up with anthropology. I thought to myself, what could be broader than the study of man, relationships, culture and society? Surely I could go anywhere with this! So I went for that, and yes, it was interesting. It was mentally stimulating, but somehow I still felt like something was missing. All these analyses and conceptualizations etc. were all very well, but somehow they felt purely external to me, purely mental. Something was missing for me. What was that? And then I realized that what I had been missing was ME! 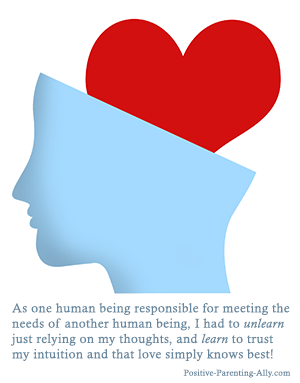 What was missing to me was using myself, my own state of consciousness, as a something to relate to and think through. Consciousness thus became both my tool and object of study. Anyway, I discovered that apparently I have a great need for understanding who we are as human beings and that this understanding needs to go as 'high up' or 'far back' as possible. So for me the study of the human condition through the lens of consciousness has brought me closer to understanding human nature than pretty much anything else at the time. Shortly after I graduated from the Department of Anthropology in 2006, the very same year actually, I became pregnant, and then a new journey began. A journey that was a lot less mental, and a lot more heart-based and intuitive. Thus adding lived life beyond the mind and beyond thoughts to my eternal search for understanding of what it means to be human. My parenting experience was born in 2007 along with my son. 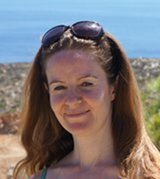 (My son is being raised by me alone - his father lives abroad and we stopped being a pair before I even discovered I was pregnant). Even though the first year was incredibly hard physically - emotionally, however, I had never felt better. I was home. My brother told me that when he saw me with my baby for the first time, I was a completely different person. All of a sudden I was just 'there' - purely present and grounded. And feeling like that around my son is something that has never really left me. As a baby my son was what may be termed a high need baby, and now he has developed into an active, curious, and highly socially orientated boy. 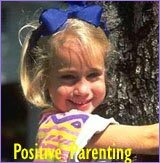 But even though he has grown, the essence and nature of our being together is the same - thus, I will be bold and conclude that the basics of positive parenting (unconditional parenting, attachment parenting and spiritual parenting) are timeless and will work with kids of all ages. Because the core of these parenting styles: deep presence, high awareness, full acceptance and love are qualities we also love in another person as adults. When we experience such things in another person we cannot help but being drawn to and affected by it. It's just irresistible. Being interested in consciousness and the human condition also means that I don't really see children as children. To me they are just another human being. Sure, their minds work a bit differently, but their 'beingness', their ability to be present and loving is just as strong (and sometimes even stronger and more clear) than what we can manage as adults. Therefore my son has also been a wonderful teacher to me in helping me remember how to get back into the present moment. The only moment there will really ever be. Being an anthropologist means I have a skeptical mind and take no cultural norms for granted, no matter how powerful or 'natural' they may seem. The way that my brain works is that I always try to see how every little thing relates to other things and fits into the big picture of life. 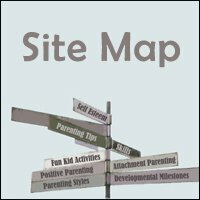 On this site this is thus transformed into how I may help myself and other people get a better, more joyful and fulfilling 'parenting life'. I always want a deeper understanding and a better, easier, more natural and more fun way of doing things. I find the journey of discovering which parenting ideas work and which don't, exciting, fascinating, and incredibly rewarding. Does it really work? Not just short term in terms of getting what you want here and now, but long term in terms of raising happy, caring and conscious kids. Does it respect all parties involved? (Both you and your child). In the video interview below, I talk about the freedom and peace of mind that you may find if you allow yourself to be ignorant of everything else but your own experience. 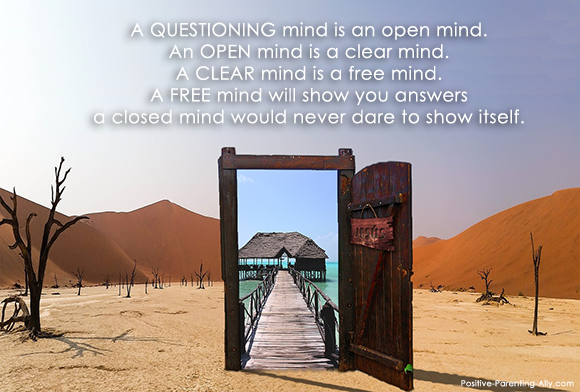 With a clean mental slate, just let your experience tell you if something works or doesn't work! It really can be that simple! So my education as an anthropologist taught me critical, abstract thinking and introduced me to the incredibly interesting field of consciousness and the human condition. However, to me, none of this would really matter if I was not 'home', or 'grounded' or balanced when parenting (or writing for that matter). Being only in your thoughts and flying around on an academic mental cloud cuts you off from the world, from truly interacting, from truly loving and being present. But when balancing all those aspects - living from the heart and using your brain as a tool only, you - and your children - can become immensely empowered. I really hope you will enjoy your visit on my website. If you have a question or two, please don't hesitate to contact me. Oh, and I almost forgot, if you're curious about why exactly I started Positive-Parenting-Ally.com, and want to know about the wonderful existential gifts I've received since building this website, you might like to read my SBI! 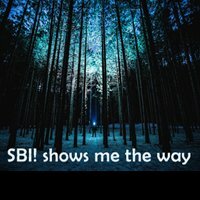 review (SBI! or Solo Build It is the great host that that made this website possible).